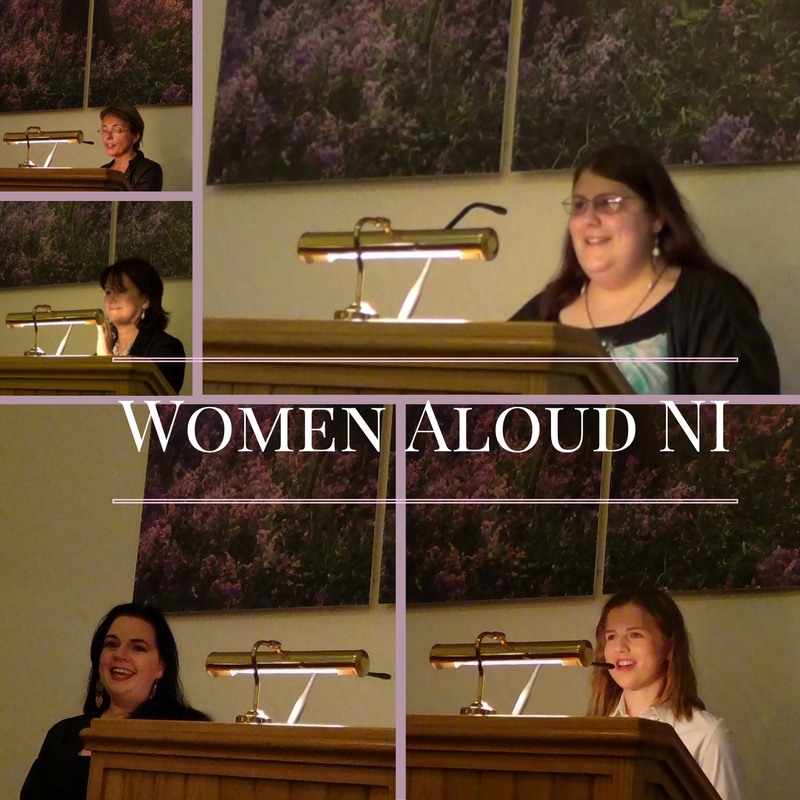 This Thursday (the 8th of March) is International Women’s Day and, as such, Women Aloud NI are gathering again across the country for a series of readings. There are two in Belfast, one in the afternoon and one in the evening. I’ll be reading at the evening event – 7 to 9pm – at Easons bookstore, Donegall Place. It’s a free event, and you don’t need to be a woman to attend. Then, on Saturday, the Women Aloud crew are heading to Dublin, where we’ll be engaging in a readathon at the Irish Writers’ Centre alongside writers from the south. Because there will be so many of us, it unfortunately has to be a closed event – no other people will be able to fit in the building! But, afterwards (at 3.30pm), we’ll be gathering in Parnell Square where there will be a public mass reading (as in, we will all read en masse). It’s really a sight to behold. Later in the month, on March 22nd, there’s a poetry showcase in at Waterstones Belfast followed by an open-mic session where anyone can come and read. I’m one of the eight poets being showcased (the rest are in the image, above). Kick off is at 6.30pm. I’m sure I’m not alone in having a lot happening at the moment – December seems to be an ultra crazy month for most people. But, aside from Christmas, there are three biggish things in my life right now, and I’m here to tell you about them. Starting in January, I will be teaching a class! With actual students!! 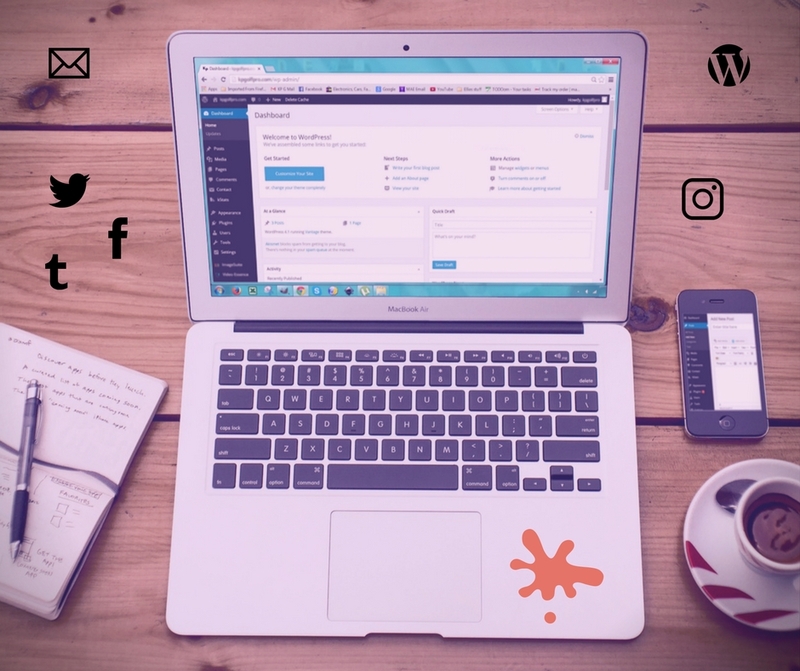 The class is Social Media for Creatives: How to Build & Maintain an Online Platform for you & your work, and the initial run will be two hours a week for ten weeks but, if it goes well, I might get to run the class again. Women Aloud have just announced their programme for International Women’s Day 2018, and I’m taking part. As well as reading at events in Belfast and Dublin, I’ve been put in charge of coordinating this year’s cross-border in-train recital. The novel I rewrote during NaNoWriMo last month now has a new title, and I have two sequels planned as well. 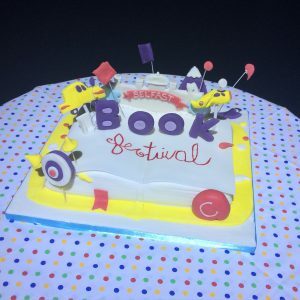 With this year’s Belfast Book Festival in full swing, I’m sure you’ve seen event news all over social media. It’s been fabulous, and I’m here to add to the deluge! 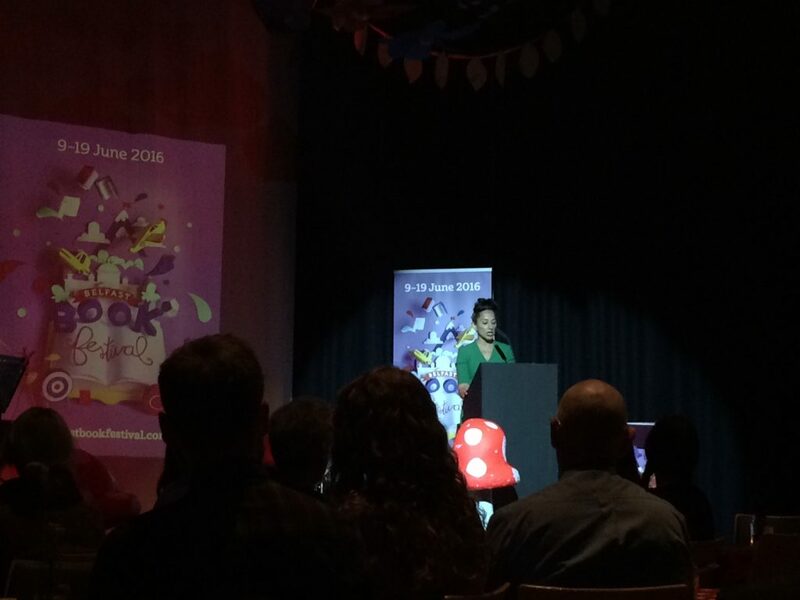 I’ve been to two events so far – the Tools for Solidarity poetry competition awards ceremony (in which I received a booklet with one of my poems in) and the Poetry NI annual slam (which I entered). Two events still to come that I’m involved with are the Crescent Writers Read event on Wednesday (which is FREE!) and the Women Aloud NI readathon and mass reading on Saturday (the range and magnitude of which I’m very excited about). Also on Saturday, the wonderful Claire Savage launches her first book – Magical Masquerade. I’m planning to get to that, too. 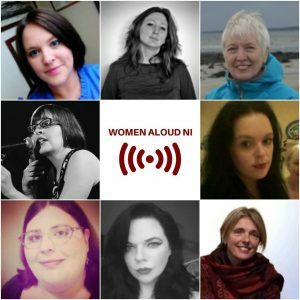 In celebration of International Women’s Day 2017 – which is tomorrow: Wednesday 8th March – Women Aloud NI have once again put together a fantastic program of events. Below are just the ones I’m involved with, with many more listed on their website. Feel free to come along – both men and women are welcome to join the audience. 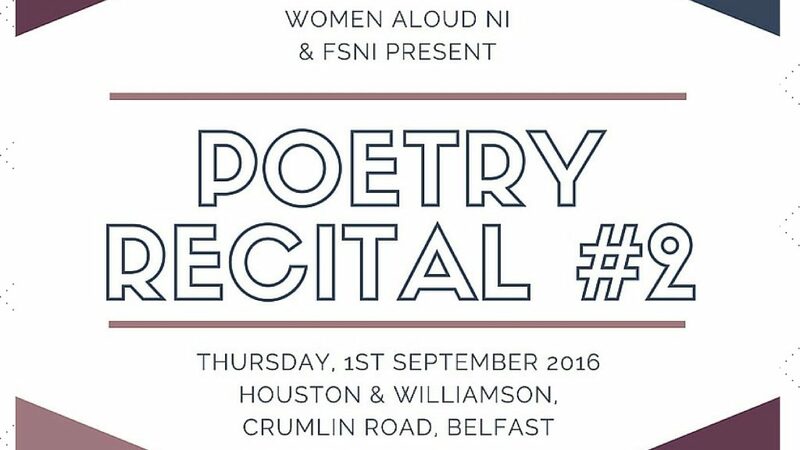 I’m pleased (not to mention extremely relieved) to tell you that the very first Women Aloud/FSNI poetry recital (as coordinated by yours truly) was a success. It was a really lovely night, coming together with fellow ladies of literature to share and enjoy our craft. The first video is online now, and there are some more photos over on my official Facebook page. If you’re local to Belfast, please come along to the part two on September 1st – more details here. 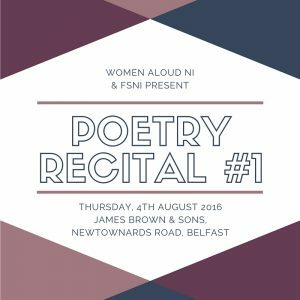 After the successful events Women Aloud NI put together for International Women’s Day earlier this year, FSNI asked us if we wanted to put together a poetry event to help promote the National Poetry Competition. Well, we said yes, and I was made coordinator! 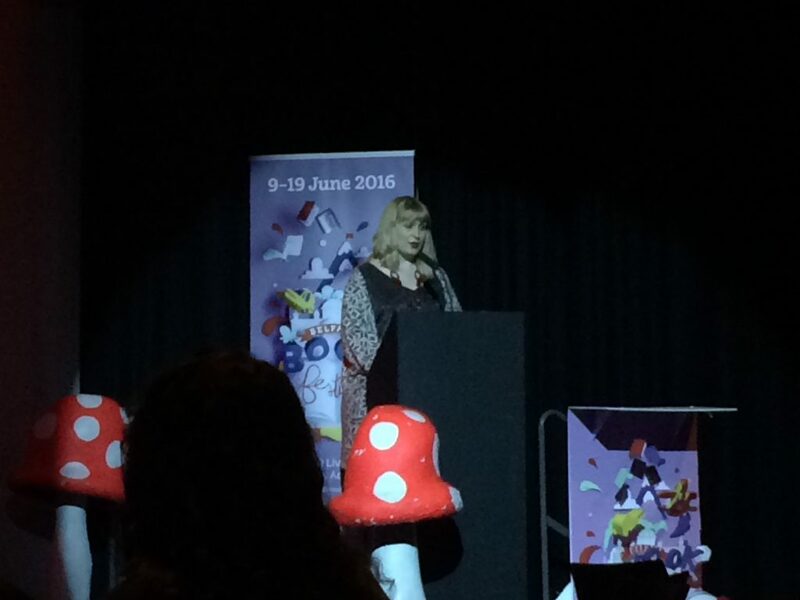 On Tuesday I was at the Crescent Arts Centre for the launch of this year’s Belfast Book Festival. I was there as the Women Aloud NI representative, as Jane Talbot (founder of the Women Aloud movement, who also has an event in the festival program) wasn’t able to make it. As it happens, there are quite a few other Women Aloud women taking part in the festival, which runs over the course of eleven days (9 – 19th June). Keith Acheson, director of Crescent Arts, says 2016 has more of a focus on women writers than ever. I’m personally very excited to take in as many events as I can. There’s a good range, in both genre and price, with many events being free. See a digital version of the program here. International Women’s Day 2016 is fast approaching (faster than I realized, in fact), so it’s time for me to tell you all about the project I’m involved with, in celebration of it. 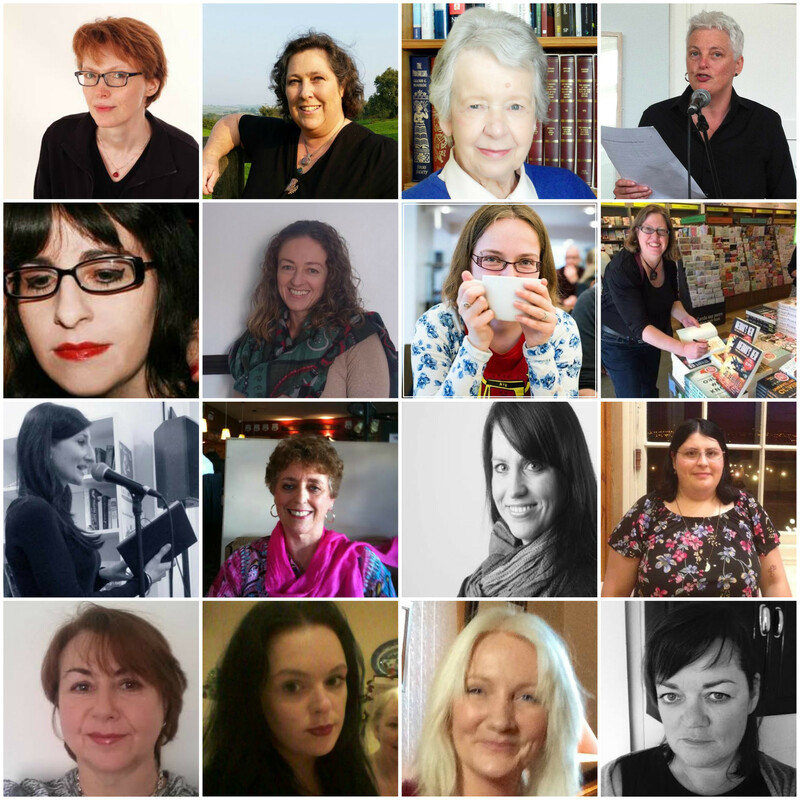 On March 8th, as part of Women Aloud NI, I’ll be reading at an event at Easons bookstore in Belfast along with a great selection of other writers of all kinds (pictured above). There are more events than just the one I’m at – including ones linked with Women Aloud, but happening outside NI – so, have a look at the full list to see what’s happening nearest you. Time – Full event runs from 12 noon until 2pm. I’m reading at 12.40 on Platform 2. Price – Free! Booking not required. 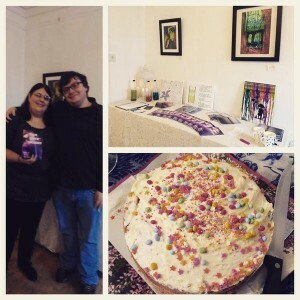 A couple of weeks ago, I had the launch event for my latest book: The Love Poems. This is just a little wrap-up of how that went. So, most importantly, there was cake. And also some people came. The Love Poems is dedicated to my partner, and the event fell on the anniversary of our first date, so – as a bonus – my partner read a poem dedicated to me, after I’d completed my author readings. You can view my readings as well as his in the video, below.